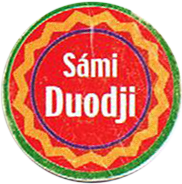 Duodji has a long tradition. In archeological searchings they has found finds from Lappish, Sami living places of different material that are thousands of years old. From 10 000 year old rockcarvings in Scandinavien and Kolahalvön (Peninsula island ) you can recognize Lappish, Sami forms. The wellformed Lappish, Sami handicraft is a part of the old way of nomad living carried from generation to generation. When you buy a Duodji product you get a part of the Lappish, Sami way of living and a part of their wisdom. You can buy Lappish, Sami handicraft in our shop, our webshop other special shops that sells craftmenship , and from other craftsmen themselves. Lappish, Sami handicraft is today a wellknown form of art. 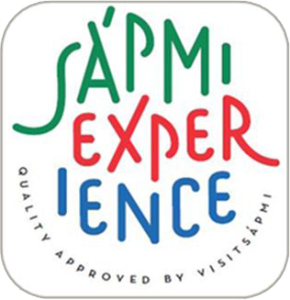 Lappish, Sami handicraft marked with the sign Sami Duodji is a guarantee for genuine Lappish Sami handicraft.